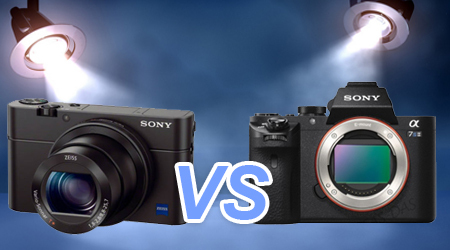 Home Blog Sony RX100 Vs. Sony A7S Mark II: Which One to Buy as Gift? At this holiday season, many people need to buy a digital camera when they have a phone. Although there's no debating the fact that smartphones are the best way to capture images "on the fly. ", but the DSLR camera's will bring full bodied high-resolution cameras with great lenses very much back into fashion. And now with the Full Frame interchangeable lens cameras from Sony, there‘s a new form factor that is all the rage. For the photographer on your gift list, what's the best Sony camera of the 2015 season? And perhaps you've been a good boy or girl and want to buy yourself a present? 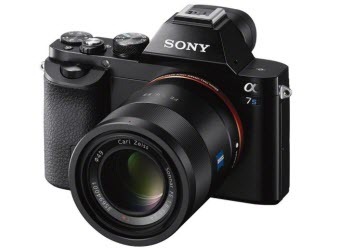 Well, to narrow it down to two choices- Sony RX100 Vs. Sony A7S Mark II – great pocket point and shoot, and a larger (and more expensive) full frame cameras. Here we'd like to make a side-by-side comparison between the two cameras to see which is more preferable to us. Let's start with the what I think is the best in pocket point-and-shoot camera, the Sony RX100 IV. If you're looking for an awesome camera that you can slip in your vest pocket that's under $1,000 this camera has it all. Keep in mind with digital, it's not just the number of pixels, but also the speed and the size of the sensor. This camera has a 20 megapixel 1-inch sensor and F1 .8 to 2.8 fast Zeiss lens. Extra's include optical image stabilization 4K video recording, which is amazing for a camera of this size. This is the fourth-gen of the Sony RX100 series – and the pictures are fantastic. It will put your iPhone camera to shame, even the iPhone 6x. Yes it's a bit expensive, but for people who care about image quality, but don't always want a full DSLR in their bag – this compact wonder is the camera to beat. If you're looking for state-of-the-art in a full-frame mirrorless camera, the Sony a7s Mark II is a stunning piece of engineering. Interestingly, it has less resolution (pixels) than the A7r Mark II or the A7 Mark II – but what it does have is almost unbelievable ISO speeds that make it's low light performance stunning – almost unbelievable in fact. This is due to the 12.2MP full frame 35mm sized sensor that drives the camera's image capture. You need to shoot with it in low light to experience a camera that this can see better than the human eye in the dark. The 4k video recording and professional video profiles make this a truly great video camera as well. And a large and growing collection of Sony e-mount lenses really does make this camera a competitor for the DSLR's from Canon and Nikon that are in the hands of most pro-photographers today. Be forewarned, it's not cheap – with the Camera body alone $2,999 and a camera kit with gear and a lens a grand more. But if your shopping for the serious photographer – or hobbyist looking to step up – the Sony a7s Mark II is the flat out market winner. Now you may have made your decision. On current market, there are many other trusted brands of digital cameras like Panasonic, Canon, GoPro, Blackmagic Design, JVC, etc. If you are a person of patience, look around for more 4K cameras that are similar in prices and make comparisons or them. 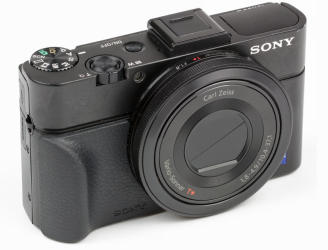 How to use Sony RX100 and Sony A7S Mark II captured 4K videos? If you are planning to do some 4K video pieces recording for family gatherings/parties at this Christmas holiday, you may need to convert, edit or play 4K footages from Sony RX100 and A7S Mark II for multiple uses. Since 4K creates large files, the hardware you need to process all data should be i7 with 8-core CPU (highly recommended) and SSD (faster file opening speed). 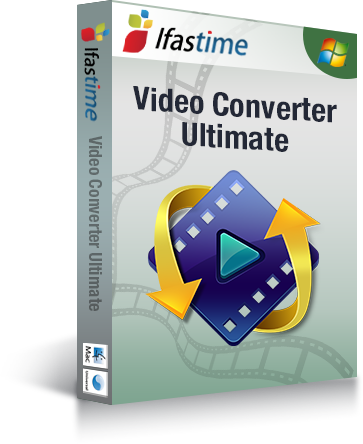 But luckily, with a versatile 4K video converter- iFastime Video Converter Ultimate, you are capable of converting any 4K videos in XAVC-S or MP4 from Sony RX100 and A7S Mark II for editing in Sony Vegas, Windows Movie Maker, Premiere Pro, Avid Media Composer, etc. and play on iPhone, iPad, Android devices, Roku 4, Xbox One, etc..
What's more, this stellar 4K video converter can also compress or reduce 4K video to 1080p HD videos for using on any editors, media players and mobile devices. Advanced video editing functionality like customizing the video audio bit rate, video resolution, frame rate and changing aspect ratio are also accessible with this 4K video converter in the process of downsizing 4K UHD videos to 1080p. Finally, it is perfectly compatible with Windows 10/8/8.1//7, etc. How to Edit Sony PXW-FS5 4K Video in FCP?